One of the features we do here at Comic Impact is the cosplay girl (NO anime, manga, role-playing games just comics) of the month, that’s right hot girls dressing up like your favorite super- hero characters. 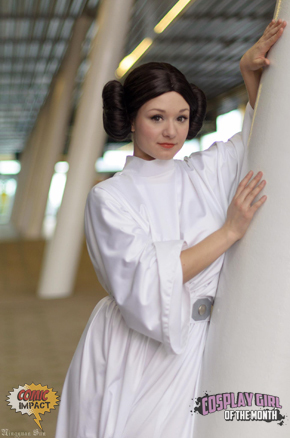 This month we’re privileged to have Aigue-Marine as the Cosplay Girl of the Month. Sina – On the internet I’m also known as Aigue-Marine. Of course! My favourite titles are Stephanie Brown’s Batgirl run, Batman Hush & Heart of Hush, Marvel’s Journey Into Mystery, American Vampire and the current run of Batman & Robin. That’s an easy question! 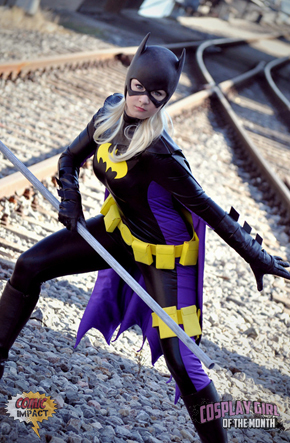 My favourite comic book character is – obviously – Stephanie Brown. No matter if she’s Batgirl, Spoiler or Robin – I love all of her identities! Art-wise I like Marcus To’s, Francis Manapul’s, Marcio Takara’s and Rafael Albuquerque’s work best. My favourite writers are Bryan Q. Miller and Kieron Gillen. Natural curiosity and one of my friends, I’d say. It all started almost 9 years ago before a small local convention was about to take place. One of my friends approached me and told me that she would dress up as one of her favourite characters from a video game there. She explained that this certain type of dressing up was called “cosplay” and told me what it was all about. Haha, this question is absolutely impossible to answer, because I love and feel connected with every character I cosplay as. 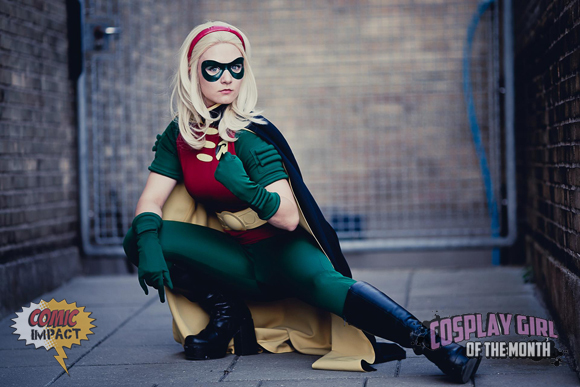 Some of my all-time favourite characters (and costumes) are Stephanie Brown as Batgirl/Spoiler/Robin, Belle from Disney’s The Beauty and the Beast, Princess Leia from Star Wars and Katara from Avatar the Last Airbender. It really depends on the costume I’m working on. If it’s something easy like a school uniform, I’m usually able to finish everything in about 2 days. If it’s something more difficult, more detailed, etc. I usually work on it for 1 – 2 weeks. I have! At last year’s Kapow! Convention and this year’s London Super Comic Con I was able to meet Kieron Gillen and Doug Braithwaite, writer and character designer of Marvel’s Journey Into Mystery. At London Super Comic Con I also met Lee Garbett, designer of Stephanie Brown’s Batgirl outfit! It was a pleasure to meet them! I mean, is there anything better than receiving positive feedback on a costume from the creator or writer of a comic him/herself? Yes, they do. When I was younger I tried to keep it a secret (Cosplay has a rather bad reputation in Germany), but I have given up on that. I show my work openly, tell people about it and explain them what it is all about. I want to show prejudiced people that being a cosplayer does not necessarily mean you are a total freak. 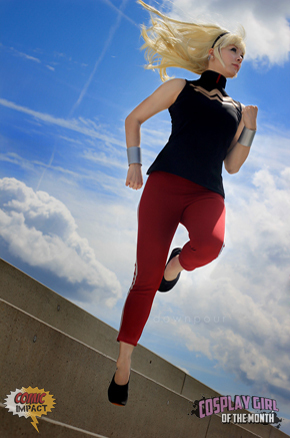 I want to draw attention to the fact that cosplay is creative hobby to be admired – just like drawing, gardening or being able to play the piano. I think the funniest thing I ever experienced was meeting Miltos Yeromelou who played Syrio Forel in Game of Thrones. After his signing session at London MCM Expo he was standing next to his booth, just casually talking to fans… My friend and I (dressed up as Daenerys Targaryen) were waiting a couple of meters away searching for our digital camera in our bag when I suddenly heard someone shout: “DANY! HOW ARE THINGS ACROSS THE NARROW SEA? !” And before I had the chance to say anything else he hugged me. Sometimes they do and I love it! Haha! It happens the most often when I’m wearing a Disney costume like Belle from The Beauty and the Beast.